Sandra had a very specific request for her sweet daughter’s second birthday party: garden party themed, with two colour rosette buttercream tops! 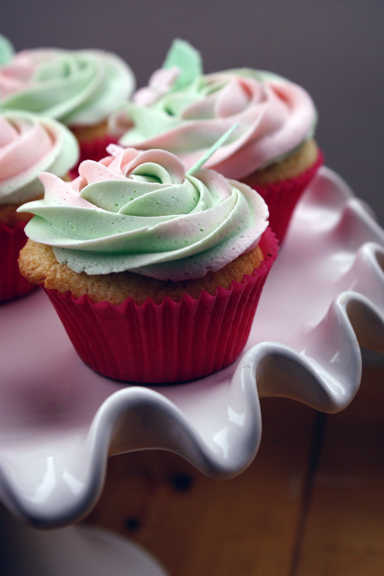 I loved how these turned out… vanilla cupcakes with vanilla buttercream! I added some pink fondant flower embellishments with white non-pareil candy dots, and green fondant leaves as accents. Sandra sent me a picture of the cupcakes with her daughter who is so cute and beautiful, the cupcakes all stacked up on a lovely cupcake stand! “Thank you for the wonderful job!” Sandra wrote to me! Such gorgeous cupcakes!! I adore the colors!! wow these are super girly adorable … I really like them. these are beautiful! what tip do you use for this? 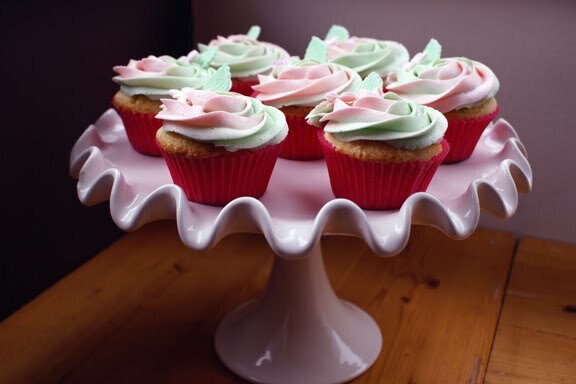 your cake stand is so pretty! where did you purchase this and who is it made by?? Oooh I love the two tone frosting, very effective! Very lovely! 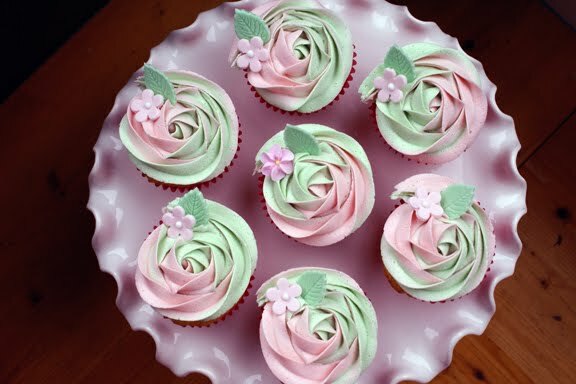 They are so pretty and cute, can you tell me how you make those rosette? I really like it. 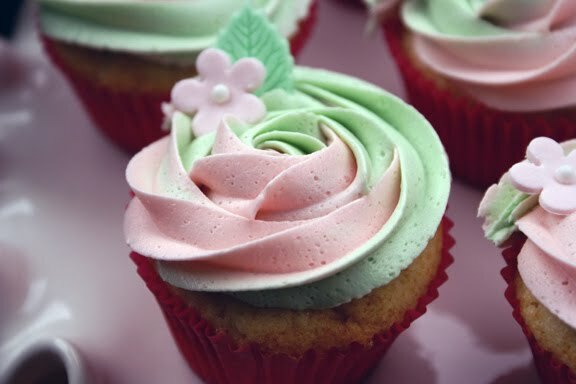 we love these.. perhaps idea for the design of our wedding cupcakes? stillthinking of cutting cake idea. you are SO incredibly talented.